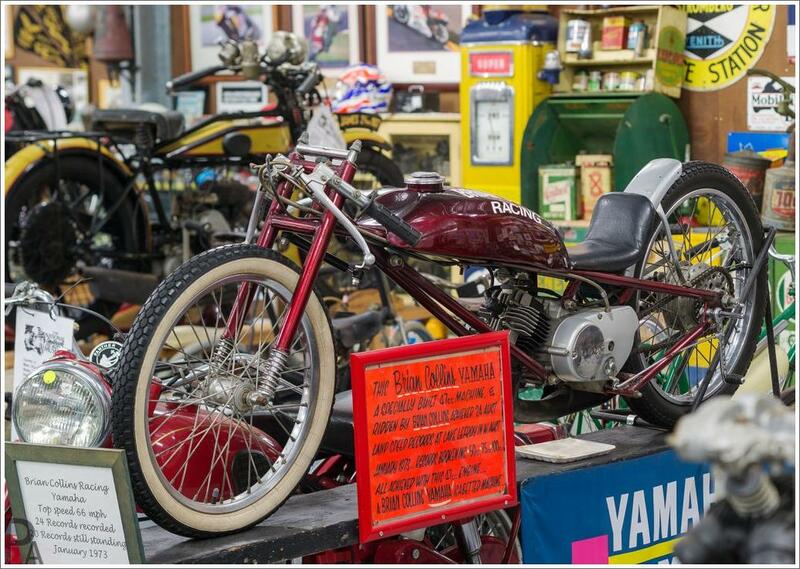 This 47cc Yamaha powered machine broke 24 Australian land speed records in the 50, 75 & 100cc classes at Lake Lefroy in WA in 1973. Top speed of 106.2kph. It was ridden by the well known motorcycle dealer Brian Collins.